I am an Associate Professor in the Department of Human Development, and director of the Purpose and Identity Processes Laboratory. I received my B.A. in Psychology from the University of North Carolina at Chapel Hill, and my Ph.D. in Applied Developmental Psychology from Florida International University. I recevied my postdoctoral training within the Multicultural Research Institute at the University of Notre Dame. 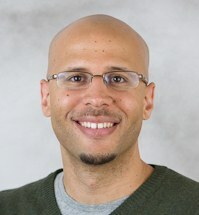 I am also co-director of PRYDE (the Program for Research on Youth Development and Engagement). The aim of PRYDE is to link science and service in innovative ways by involving 4-H communities in basic and applied research to promote positive youth development. My research follows two paths. The first investigates why having a sense of self-direction – or purpose in life – serves as a psychological resource for those who cultivate it. Specifically, I conduct studies testing the extent to which purpose (a) contributes to positive adjustment and (b) serves as a source of protection in the face of stress and challenge. A second path examines how notions of race are incorporated into one’s sense of self (i.e., racial identification) and potentially shape perceptions of everyday encounters. My work in this area has focused on the psychological adjustment of ethnic minorities and examines (a) how race-related experiences are related to adjustment and (b) whether racial identity might either amplify or lessen the impact of these experiences. I believe the importance of this work lies in the potential to identify sources of resilience capable of improving the well-being of vulnerable and often marginalized populations. Ph.D., developmental psychology, Florida International University.